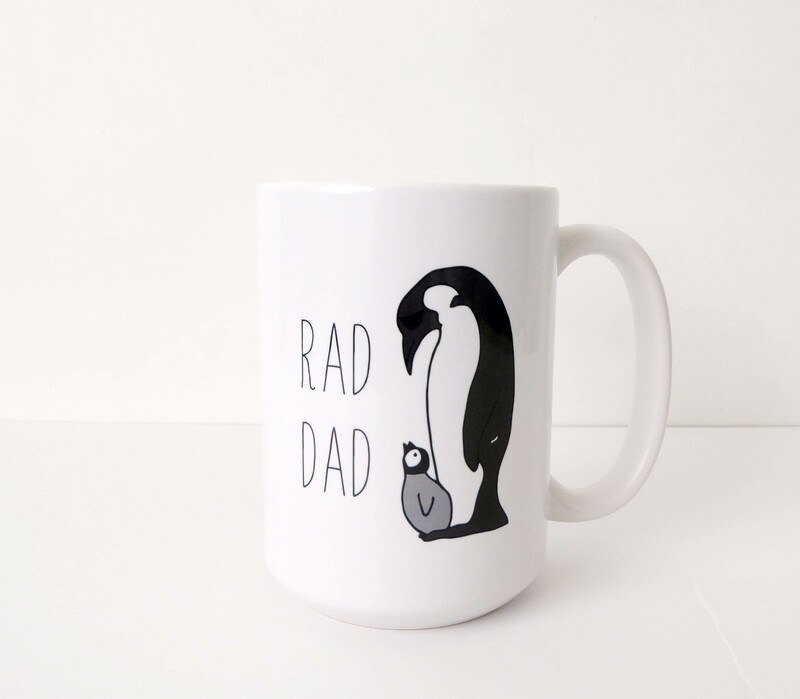 Sing it from the rooftops and let everyone know what a rad dad you are (or what a rad dad your husband is) with our Rad Dad coffee mug! Featuring our trademark penguin dad and baby, this mug is a perfect way to wake up to face the day. Diameter 3.25" Height 5"